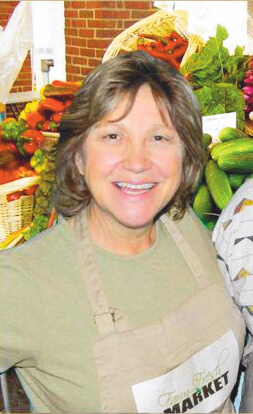 THE SCOOP: Healthy heat-and-eat prepared foods are flying out the door at Ranch Foods Direct, which continues to expand its inventory of frozen casseroles and soups made in Pueblo by Jo Schrubbe, a certified nutritionist, shown above. THE BACKSTORY: Jo was a Ranch Foods Direct customer for years, stocking up her own freezer on trips to Colorado Springs. She was also a nutritional consultant teaching cooking classes and advising clients on nutrition and healthy eating. “So many of my clients said, ‘I wish you would just cook for me’,” she recalls. Even people who love to cook need a more convenient option from time to time, she realized. So in August, she bought an old restaurant space in the Steel City and opened Farm Fresh Market selling both fresh and prepared items. The business soon took off. By spring, Jo was looking for a way to streamline her ingredient sourcing. UP NEXT: Jo is working with a local children’s center on developing a comprehensive nutrition program and updating menus. She envisions a day when Ranch Foods Direct quality meat and local produce will be served in local schools, hospitals and senior centers around town. “Just making cleaner meats available to everyone — I’m pretty excited about that,” she says. FOR NOW: Jo’s menu is built around what’s seasonal and fresh with traditional favorites offered at major holidays like Thanksgiving and Easter. She also offers take-out catering; to place bulk orders, just give her a call and pick up your order at Ranch Foods Direct the following week. As the local growing season begins, she will change things up a bit; her summer menu will be introduced in June.